Home » Blog » Delicious Spring Recipes with Saporito! Food is to be celebrated! I am passionate about and enjoy good food, eating well and feeding people I love. As a mother of seven, wife and small business owner, being well-nourished is essential. Food is fuel for me, as well as, delightful. I am grateful for the seasonal bounty and the color variety that north-central Florida living offers. Being Gainesville natives, our family loves Alachua County, our local community, farmers markets, and the folks that make this such a rich, rewarding place to call home. Shopping locally and eating seasonally have become more meaningful to me, as I’ve grown older. Local food not only tastes amazing, it is highly nutritious. Food in season is full of flavor and nutrients. That’s why our family enjoys fresh food from Ward’s Supermarket and our weekly CSA (Community Supported Agriculture) organic food shares. Eating locally reduces or eliminates the need for transit which means our food is fresh and super-tasty. Local, seasonal eating is also cost-effective since buying food out of season requires transport, time and higher prices. 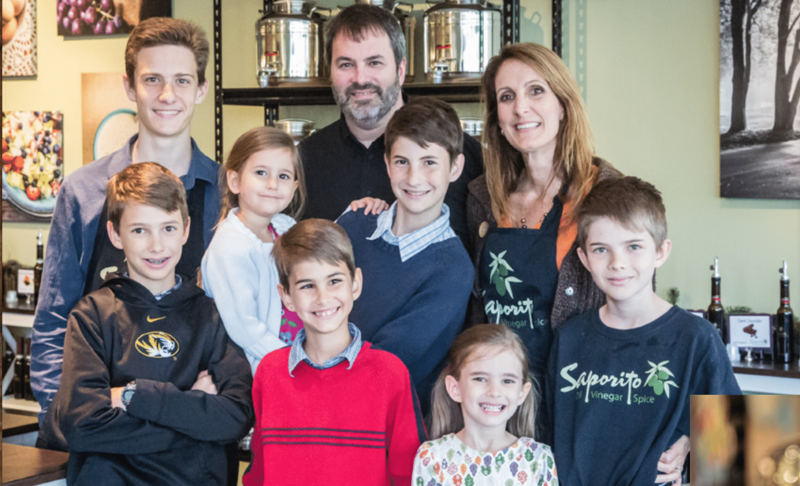 My husband Keith and I opened Saporito Oil, Vinegar, Spice in July of 2015. Since that time, we have enjoyed teaming together with other health-conscious business owners to support families in our area. What a privilege to have Saporito fresh extra virgin olive oil and authentic balsamic vinegar available at Ward’s Supermarket! 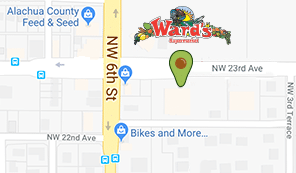 Ward’s has been Gainesville’s renowned family owned and operated store since 1951. Knowing that Ward’s is committed to local, seasonal sourcing means we can shop there anytime and enjoy the very best. Ward’s works with a local vendor community in order to provide the freshest grocery options available. Our estate-produced, superior extra virgin olive oil from small regional farmers in both hemispheres and true balsamic vinegar are a perfect complement to homegrown food. The recipes I’m sharing here are some of my favorites for spring. In these, I’ve combined fresh seasonal spring produce and our delicious extra virgin olive oil and balsamic vinegar (available at Ward’s). We hope you and your family will enjoy these recipes as much as our family does! Try this delicious concoction using spring’s fresh and abundant varieties. Our balsamic vinegar has no added sugar, no artificial flavors or colors and no thickeners. They are probiotic and aid in digestion and a healthy alkaline level. 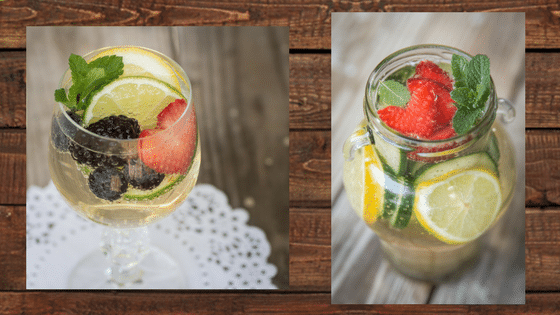 A refreshing, healthy and beautiful beverage alternative. Fill an 8oz glass with chilled sparkling water. Squeeze fresh lemon or lime and add thin slices. Add sliced cucumbers, berries and/or fresh herbs (such as mint, thyme, basil, etc). The most wonderful thing about this pesto recipe is that it’s packed with flavor, so satisfying and versatile. Use the freshest, seasonal ingredients and indulge. Check with your local farmers markets and favorite grocer for tasty possibilities. Taste and adjust. Add (optional) lemon juice and taste again. Some folks like to add freshly-grated Parmesan cheese. Ours was absolutely splendid without it. Serve with fish, chicken or zucchini noodles. 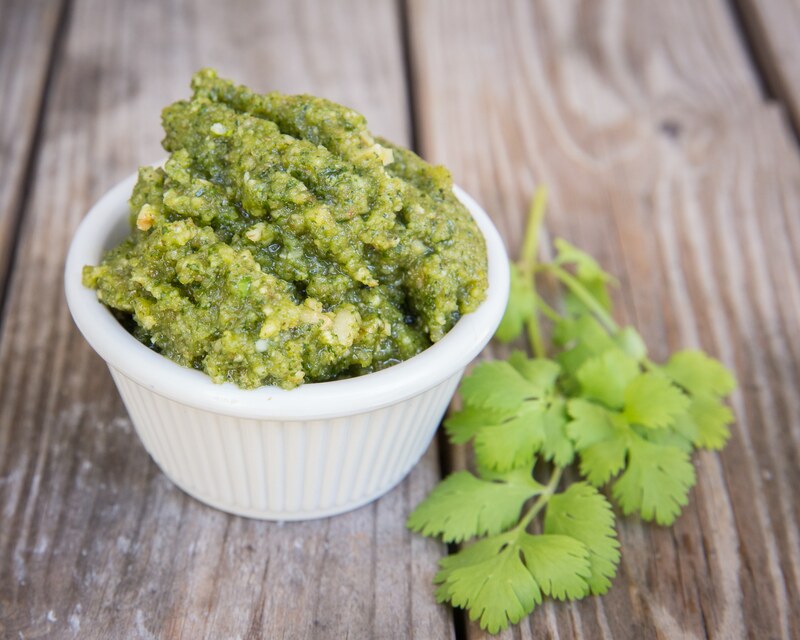 This pesto is an amazing condiment, as it adds tremendous flavor to cucumbers, crackers, or as a dip with carrots or any raw or roasted vegetable. Also, simply delicious just right out of the jar! Keep any leftover pesto in the refrigerator in a tightly covered container and use within a week. Frozen ice cube tray pesto cubes can be placed in plastic freezer bags for up to 6 months or in small jars or plastic containers for up to 9-12 months. Stir first 6 ingredients in medium bowl. Cut in olive oil with pastry blender til crumbly. Add raisins and buttermilk, stirring just until dry ingredients are moistened. Drop dough evenly into 12 gorgeous mounds on an ungreased cookie sheet. Bake at 450 for 10 minutes or until golden. Remove and allow to cool. Store in airtight container for up to 1 week. 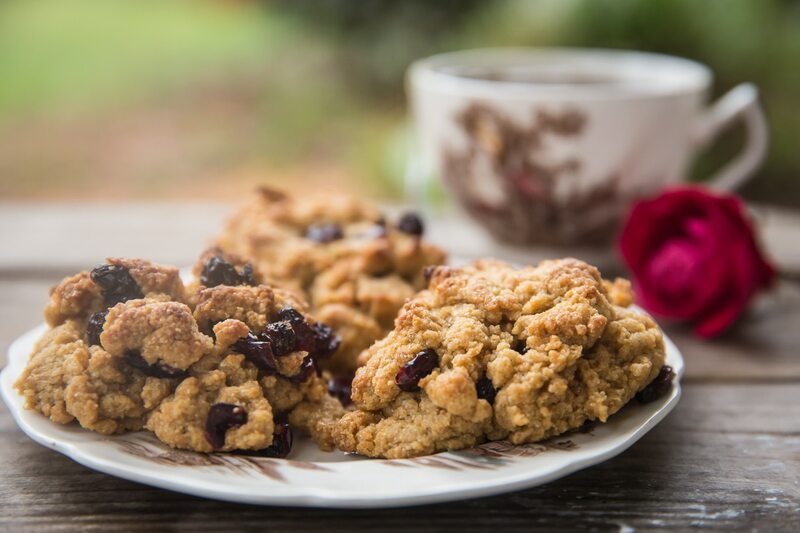 Serve with your favorite cup of tea. Find Your Next Recipe Inspiration at Ward’s! You can now find a selection of delicious Saporito olive oil and vinegar next time you visit Ward’s, right by the cash registers! We hope you’ll try some of these recipes and experience the flavor of Saporito for your self!